Most of us struggle to distill the many facets of who we are into a short, succinct elevator pitch. 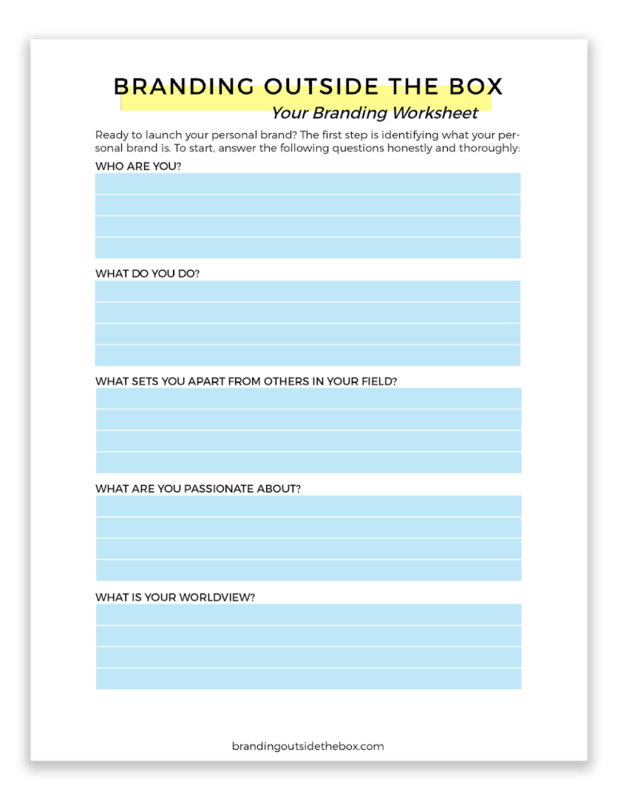 That's why I created the Personal Branding Worksheet, to provide clarity on who you are, what you do, and most importantly, what makes you unique. By answering a series of questions, you'll start to gain insight into your brand values, who you serve, and what sets you apart. After completing this worksheet, you'll have a memorable tagline and will be able to answer the "What do you do?" question with confidence and clarity!